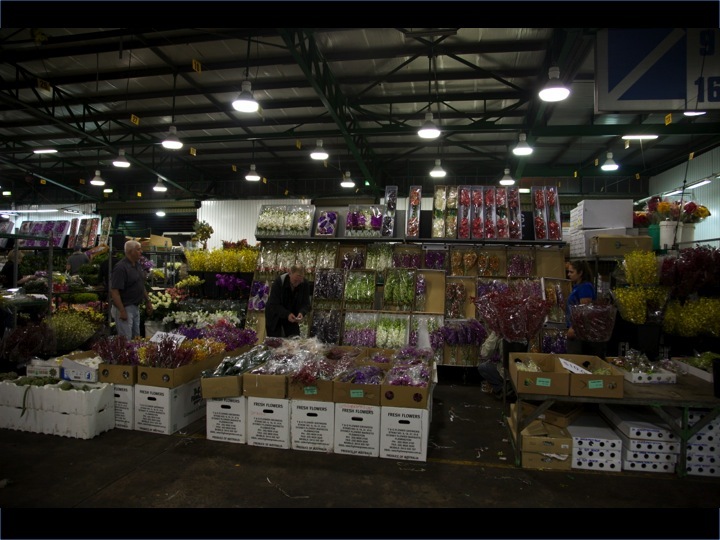 the many roller doors that take you inside the sydney flower markets open at 5 am. 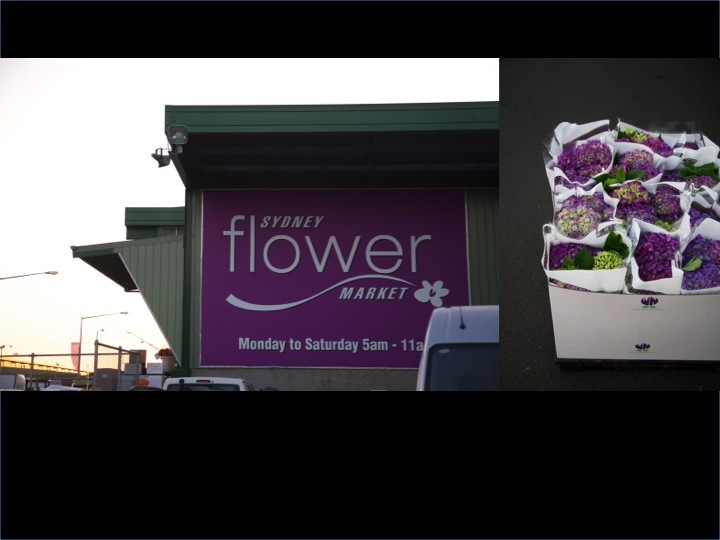 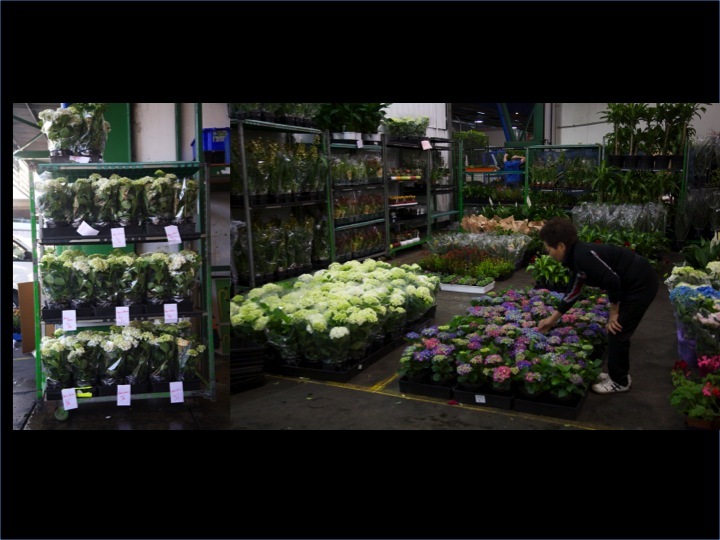 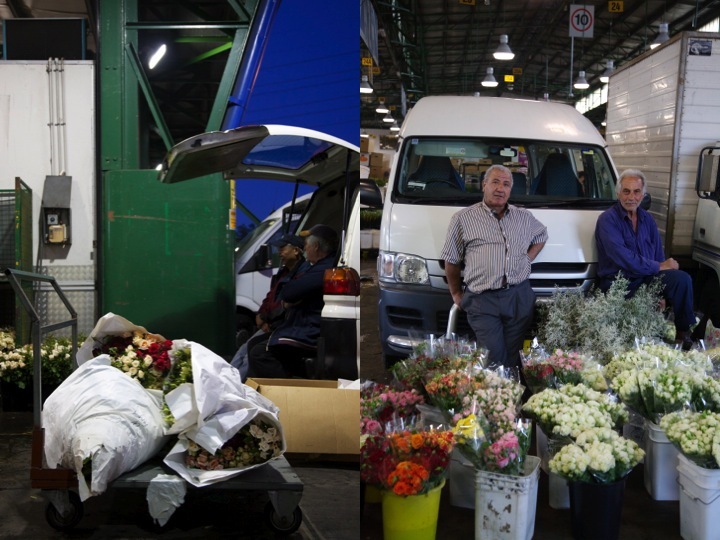 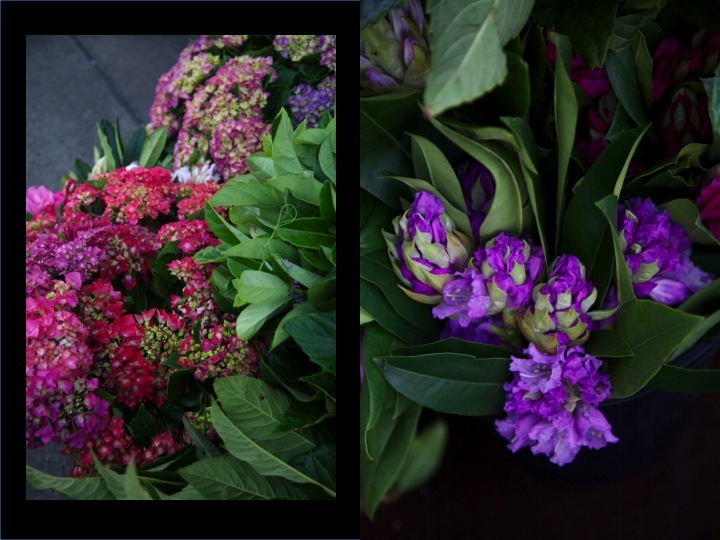 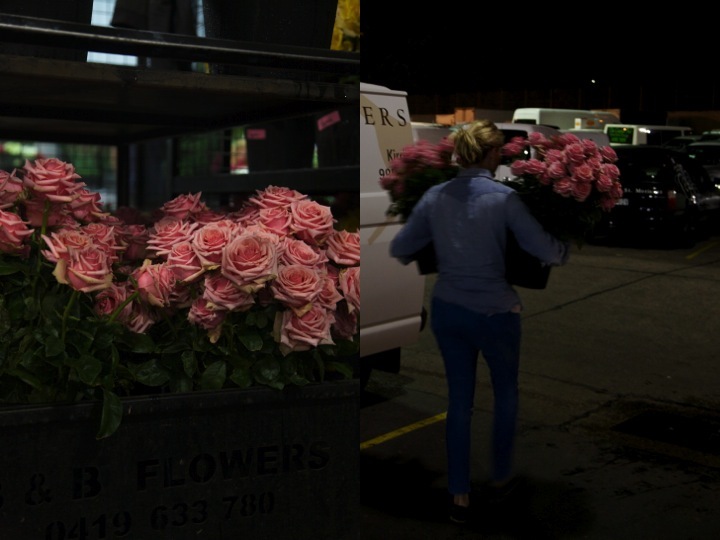 most days, florists from all over sydney arrive here before sunrise, ready to stock up for the day's trading. 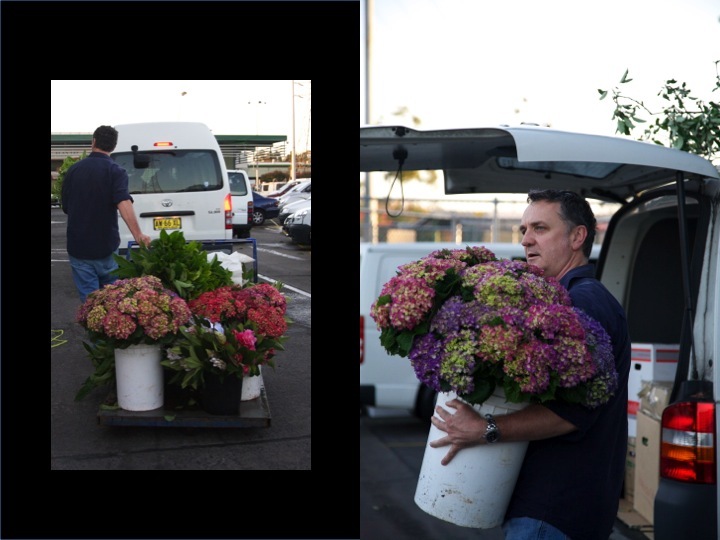 with over 150 sellers displaying row upon row of fresh blooms and florists from as far away as regional sydney, all jostling to find the day's best buys, this place buzzes with great energy. 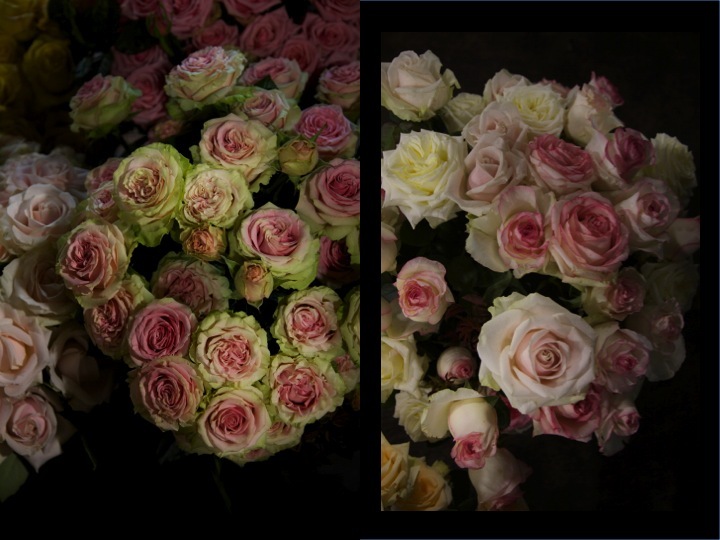 it is an assault to all the senses, in the most beautiful way. 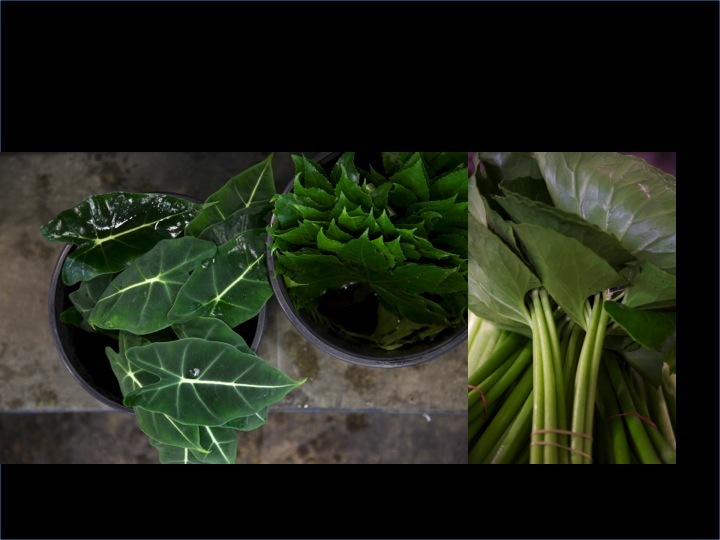 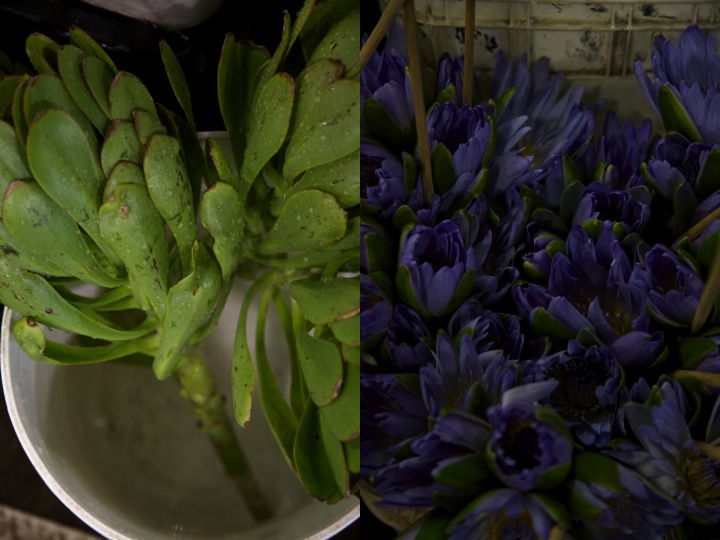 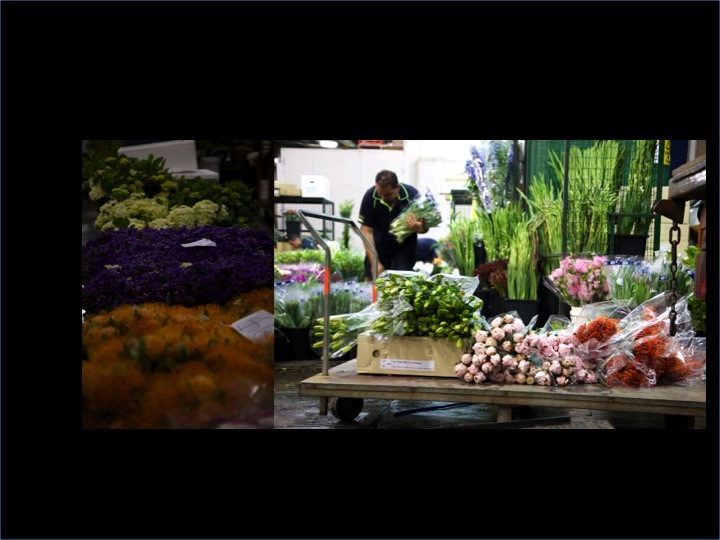 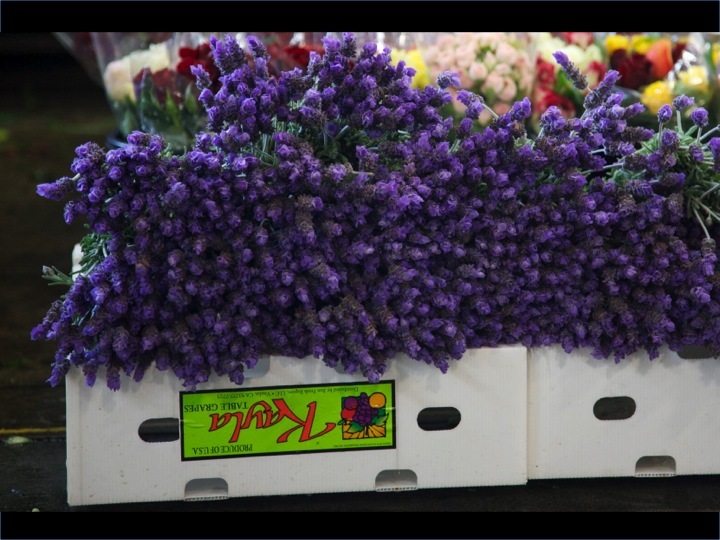 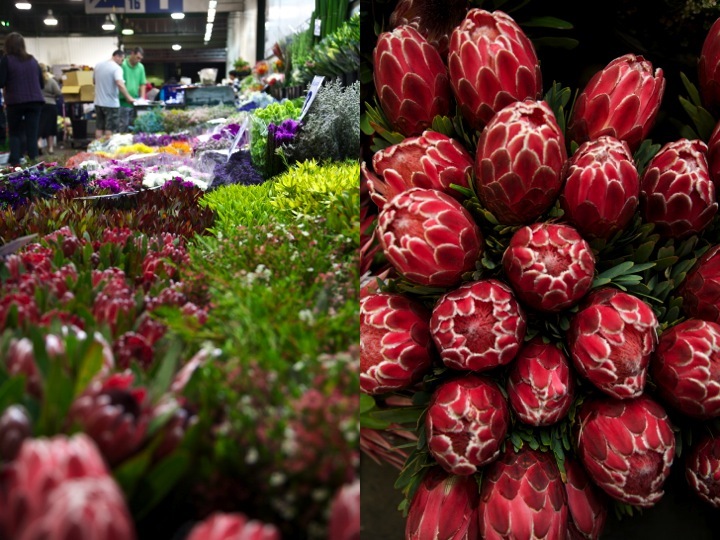 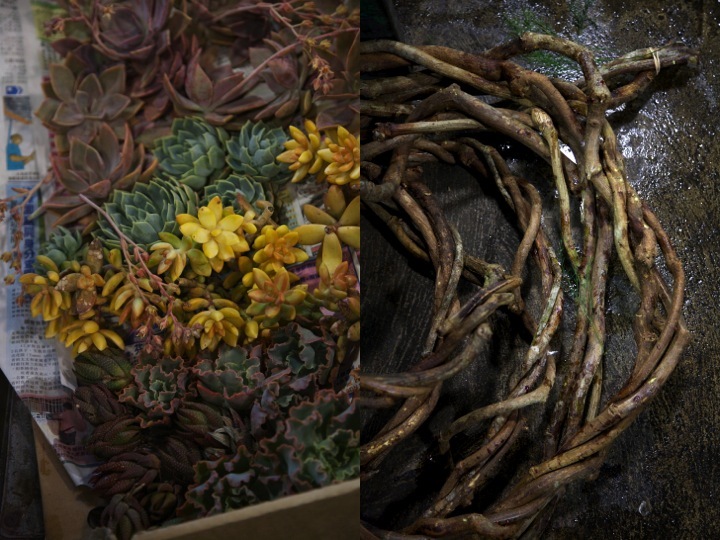 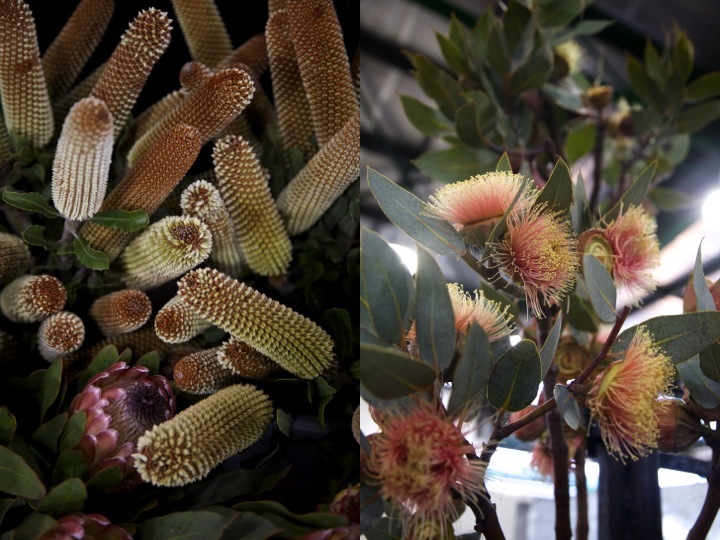 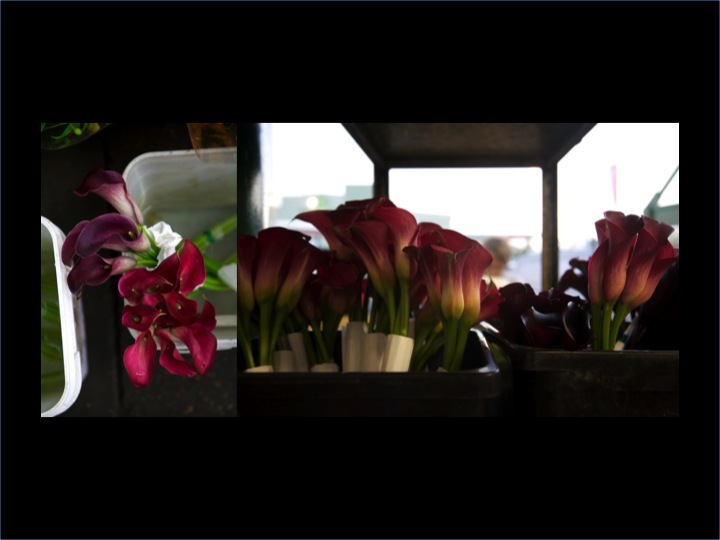 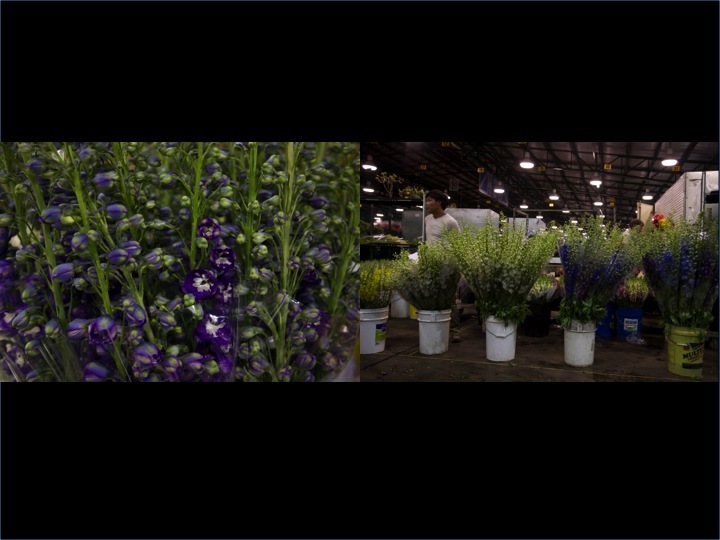 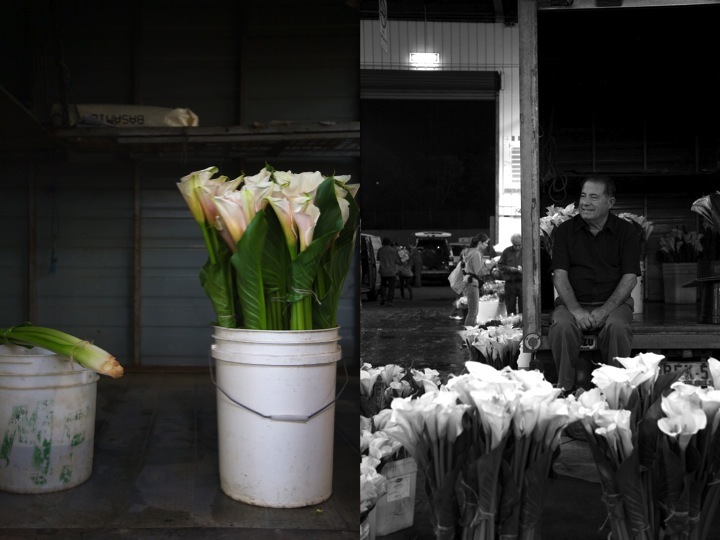 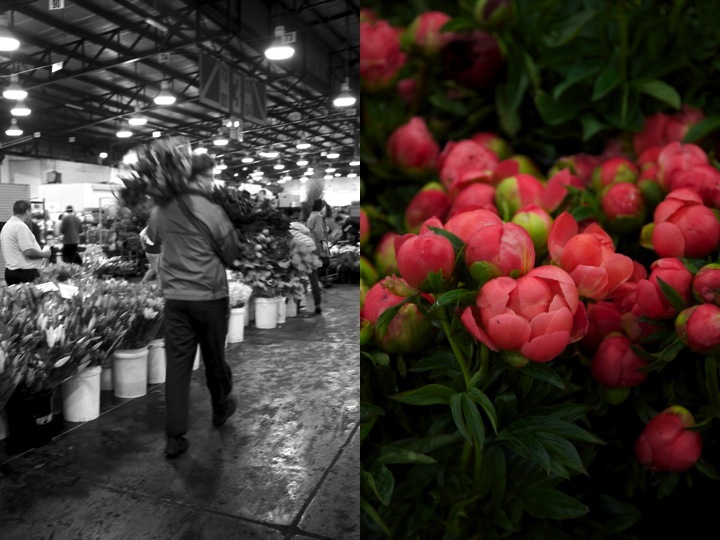 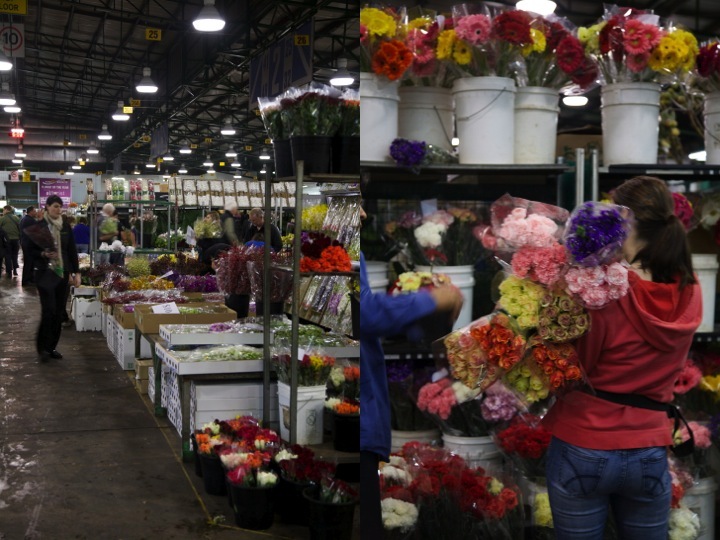 it is easy to see why many florists are inspired by the markets- it's produce, and its passionate growers. 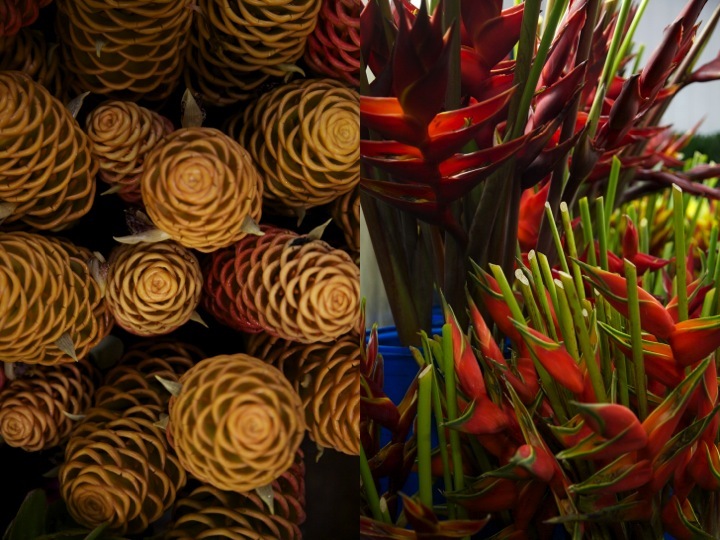 wondrous things are everywhere- in all shapes, colours and scents. 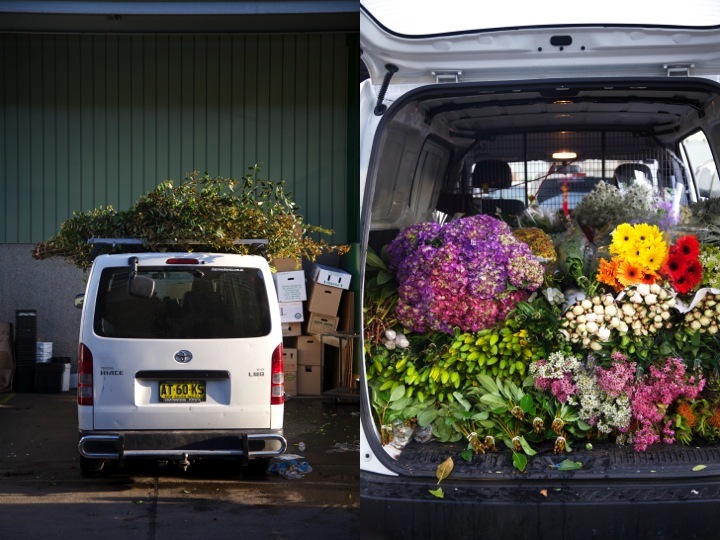 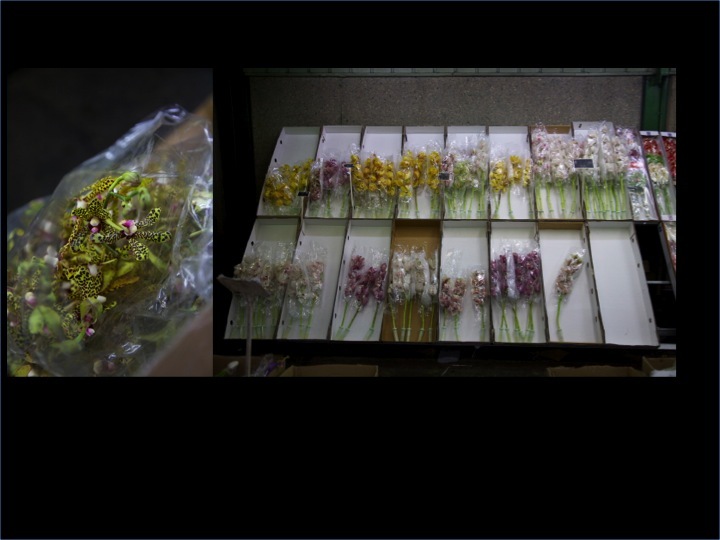 the hustle and bustle is over within a couple of hours, as busy florists, having craftily packed their trusty vans with the days finds, each drive off to their shops, unpack and start to make their own kind of beautiful. 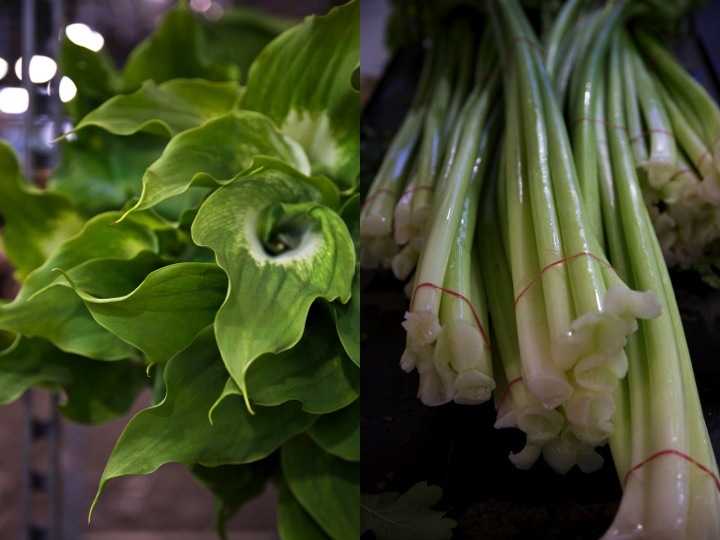 the stems are gorgeous too! 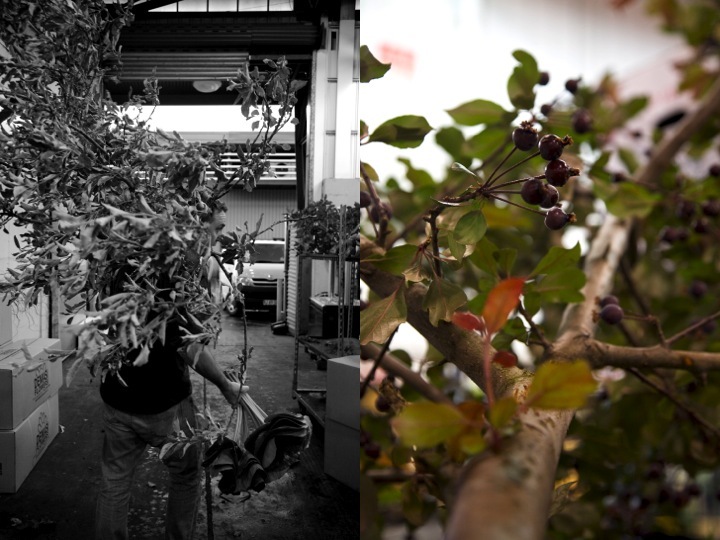 the leaves are pretty too! 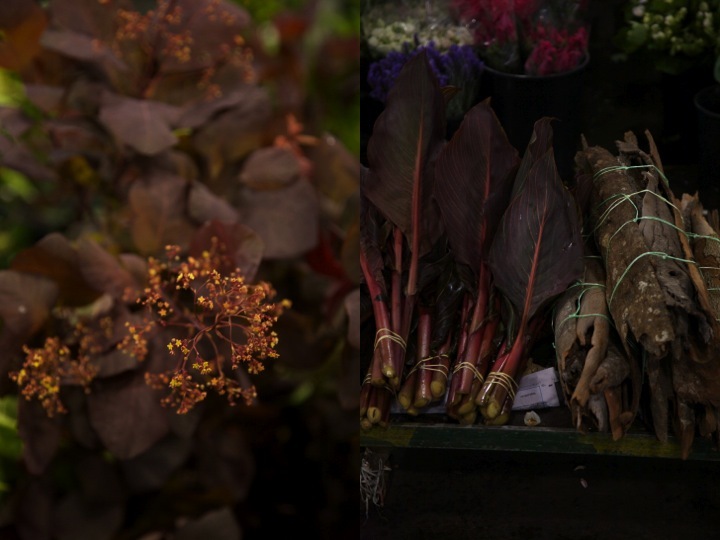 A visual feast! 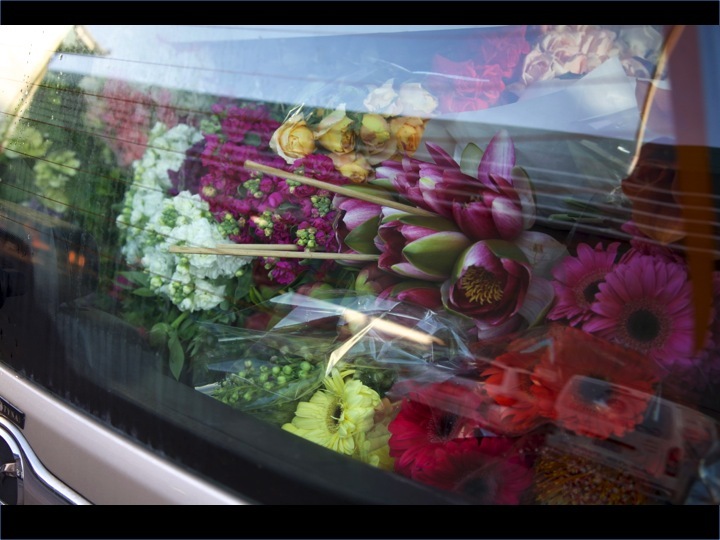 I couldn't stop looking at the photo in your header this morning..so much going on. 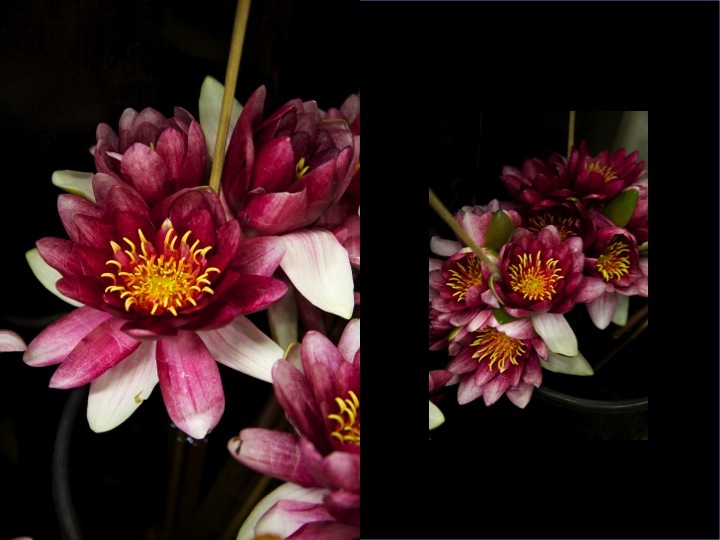 hi there; thanks for your kind words. 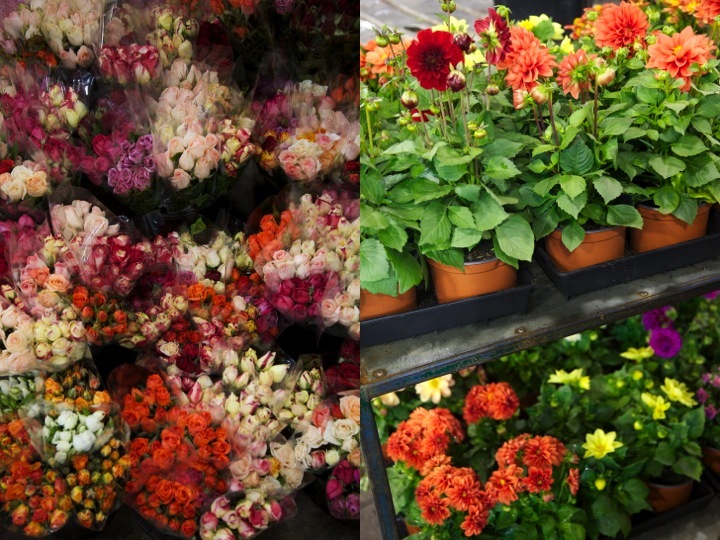 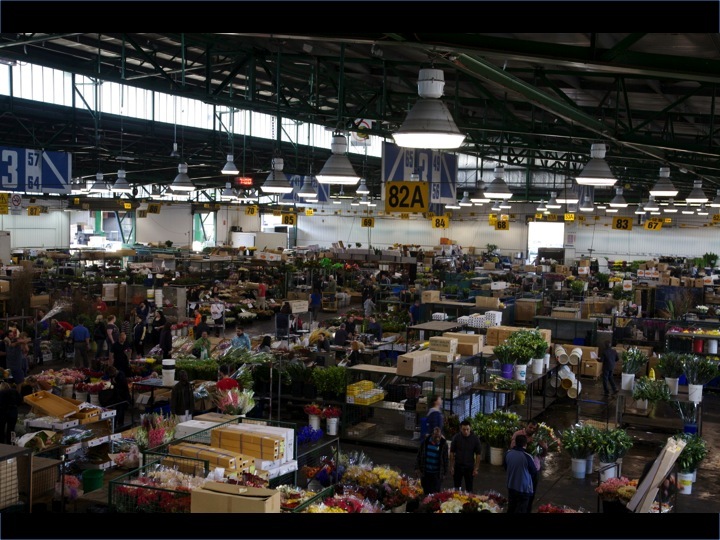 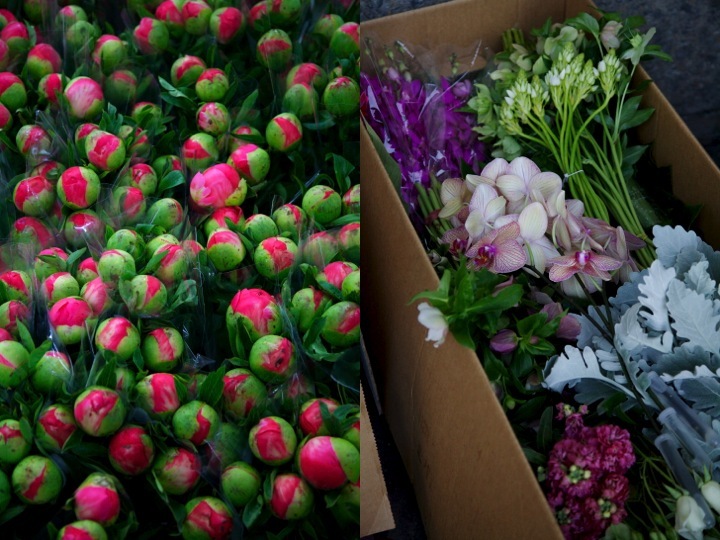 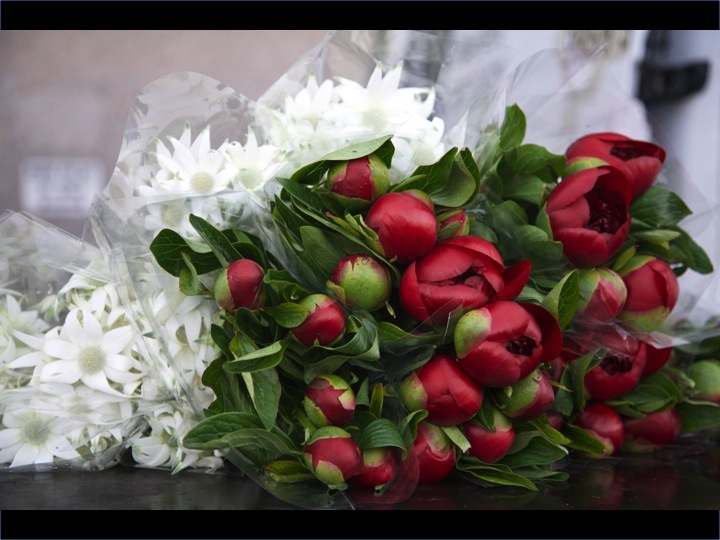 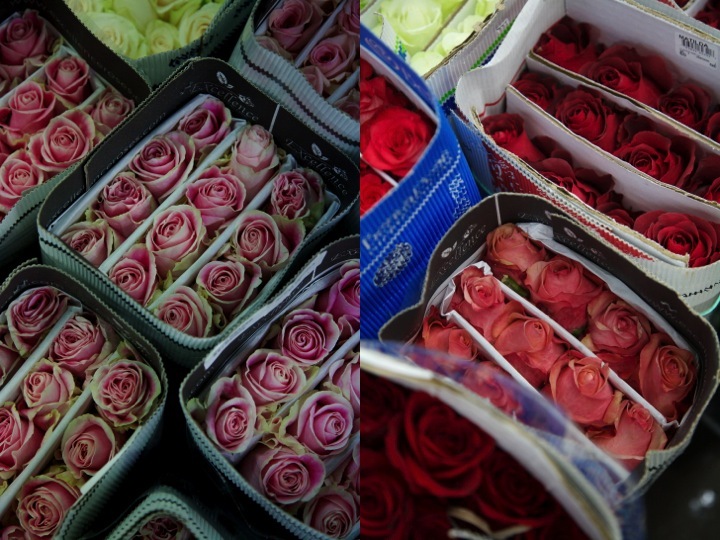 a visit to the flower markets is a must! 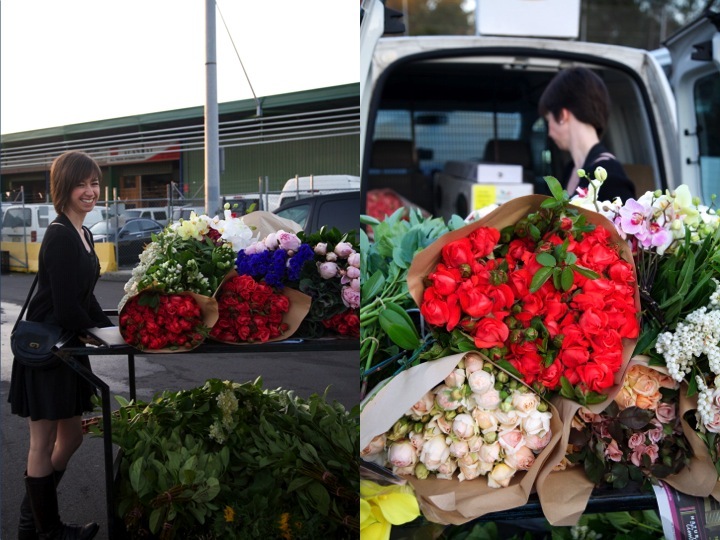 a truly wonderful experience. 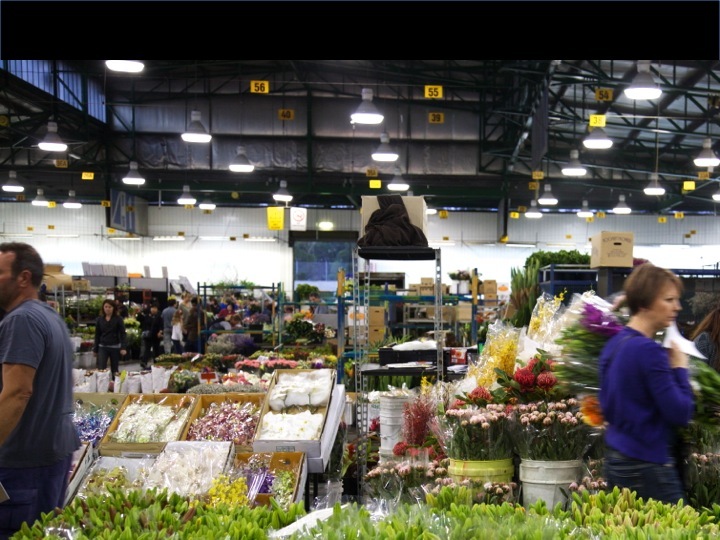 make sure you go early (around 5 am) to get the morning buzz :) hope you have a great visit.